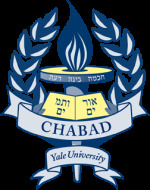 Chabad at Yale is famous for its outstanding, multiple course Shabbat dinners. The intimate and elegant setting in our beautiful home, allows students to meet new friends and truly experience the majestic beauty of Shabbat. Kabblat Shabbat is at 6:45pm on Friday followed by dinner. Are you coming with friends? How many?